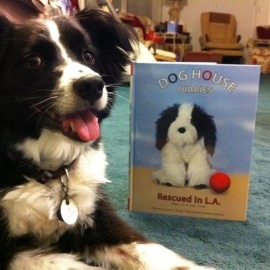 Dog House Diaries, LLC is Annie A. Borden's vision of writing a series of fun children's books about the stories of rescue animals. Annie's grand vision, coupled with the ingenuity and artistic talents of Paul Jacob Bashour, crystalized into the first of the book series, Rescued in L.A.
Annie and Paul sought to create a book that is original, colorful, stylistically unique, educational and enjoyable for all ages (even adults). 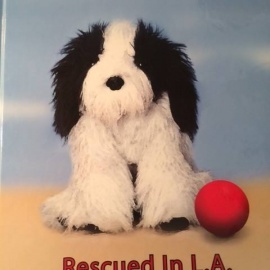 While entertaining, the book also brings awareness to the world of shelter and rescue animals, who are greatly in need of a loving home. Dog House Diaries, LLC is dedicated to giving back to the community and contributing to related charities.